Ashagal is a Philadelphia area based band playing European style paganfolk similar to Faun, Omnia, Moon and the Nightspirit. We have been active as a band since 2012 with a core lineup solidifying over the last two years. This consists of a Sierra Fox - vocalist/hand drummer, John Harford - medieval bagpipe and flute, and Cat - guitar/strings. Our music has been described as ‘tribal folk’ with a heavier rock edge and energy. We are seeking to add a dedicated percussionist. 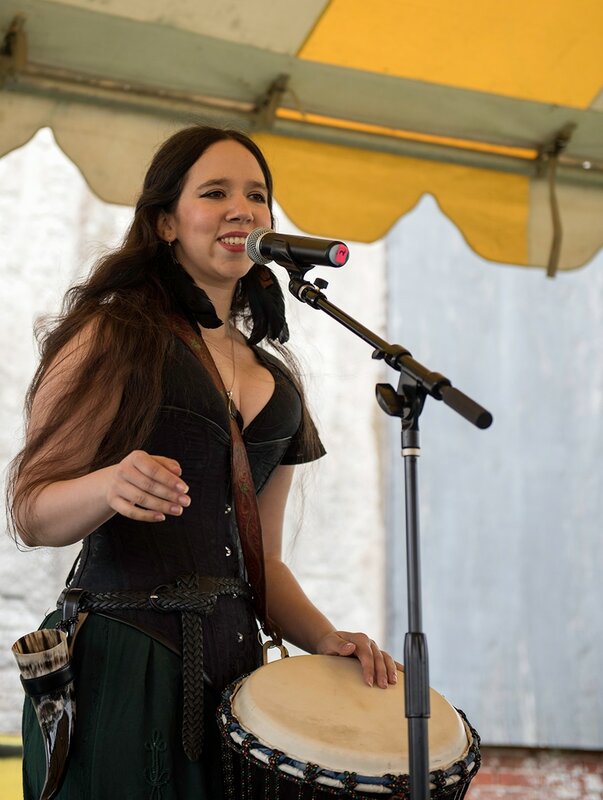 Ideally this person will be primarily a kit drummer with interest and ability to also incorporate tribal and world percussion styles and instruments. Interested rock format drummers are also encouraged! We prefer someone who has kit skills but are also open to speaking to dedicated tribal style drummers. A history of performance/gigs, including documentation we can see/hear. The ability to get to gigs/practices on your own as necessary. Practices are at this time held near New Hope, PA or near Boyertown PA. The flexibility to practice week nights/weekends at least once a month, more as gigs and recording dates near. The ability to work on pieces on your own (with our input) and arrive to practice prepared to run and work on the songs together. Please be prepared to learn up to three pieces that we’ll choose and send us sample recordings before we meet for a formal audition. 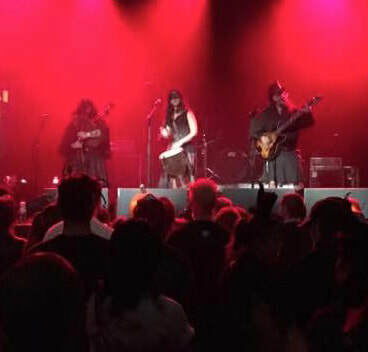 We have played pagan themed events, alternative rock events, mead halls, pubs and faerie/renaissance/medieval festivals. We intend to expand to broader world, folk and rock concert venues. Dressing up to match our anachronistic (but not historically specific) dark esthetic is mandatory. We have previously averaged 8-10 gigs each a year. Some are full day events with multiple sets. We do not play unpaid gigs. It is expected all full members will be considered in the negotiation of any fees received from gigs. Thanks and please let us know if you have any questions! The sun is shifting to its highest point in the northern half of the globe. With that change the earth grows; power peaks at the solstice apex. This season individuals can also focus their personal power. Light burns away shadow. It is the time to manifest planted plans, and extend the reach of your own energy. One of my goals with Ashagal was to not remain stagnant. We love playing our favorite places, to our long time fans and friends. But it is also the goal of any band, especially one which does not fit in any typical niche, to move forward and see new things, places, and people. I (John) have always had the internal plan of playing at least one new venue a year. Preferably also expanding our geographic range. We just had a wonderful run at Philadelphia Renaissance Faire - one day of truly medieval weather aside. Those of you who saw us there heard a few new surprises in our set. Plus of course managed to get a hold of our new ep. Initial reports indicate we did a good job on that. Thanks! We will return to several pagan pride days in the fall and look forward to seeing all of our friends. But the next months will see us at some interesting and new to us venues. Of course we will be at Pennsylvania Renaissance Faire, and are excited to debut this act there. In July we will for the first time play Dragon Thrones, a sophisticated live action roleplay/interactive theater event set in a fantasy realm similar to Game of Thrones. You may even get to see John in another role... But soon, we will play our friend WIlliam’s new Meadery - Meduseld in Lancaster, PA. Named after the Golden Hall of King Theoden of Rohan, how could we pass that up? We hopefully aren’t done yet. We’ve had discussion of other several new and exciting venues that may occur this year or next. Keep Reading. It is a very immediate home grown effort. We did all of the recording and production. The intent was to create a snapshot of where we are now, versus where Ashagal was at with the recording of 'A Moonlit Path' 3 years ago. It represents our current sound, current steady line up and indicates our general direction. To some degree it is reflective of what you will experience during a live show as far as energy and intent. It is wrapped in a beautiful package created by Sarah Turpin, Illustrator. At this time there will be only 200 copies sold. They will for now only appear at our live shows with the exception of our Moonlit Path Kickstarter Contributors. They will be notified accordingly. It will not be available for streaming, download or online purchase in the foreseeable future. Some of the tracks will appear later on a full length release. Once this year’s dates are over we will evaluate how remaining copies will be available but we do not at this time anticipate many, if any copies to be sold online. And once this run is gone. It is gone. I listened to about an hour ago for the first time since we declared the tracks ‘done’ over a week ago. And I must say. It is a fairly nice flowing journey through our collective psyche. As the chaos of Walpurgisnacht settles into the steady growth of spring, and the remnants of the Beltaine fires change chill to warmth, "Farther Down The Path" has gone out for production. We will have purchase and other details available in the coming weeks. But for this week we have a preview of one of our new songs, freshly recorded and produced by us for the ep. "Waking Frost" is our song of Hel, Goddess of the Norse ancestral underworld. She is also a force of both fire and hail - bringing ravaging transformation to her adherents. Indeed, one half of the band name Hagal - is the rune associated with her elements. This time of year is the counterbalance of the dying and harvest. It is traditionally represented as birth and regrowth. Modern revels range from cheeky frolic to hedonistic outpourings. Both have some root in antiquity. But perhaps save for the "Witch's Night" Walpurgisnacht events that appear in Europe, the other side of this season is often neglected. It is the time of the unbridled energies of rebirth and creation. Which can be as devastating and terrifying as the somber ancestral and underworld energies of Autumn. The wild hunt rides, according to legend. And those that cross The Old Man and the hounds, are forever in his grasp. Spirits of the woodlands, lacking the quaint Victorian dresses and ethereal wings of our pop culture representation emerge. Often, they are at least apathetic towards, if not antithetical to humans. Often their pranks are less jibing, and more destructive. So is it not appropriate the Goddess of fire and ice have her place just as the Greenman sheds his cloak of snow and holly? Today we reveal a sample of the new CD art from Sarah Turpin. Sarah created the amazing art work for A Moonlit Path. Her vision continues to coincide with our themes and aesthetic wonderfully. Please note that the layout, song list, etc... are getting finishing touches. But this glimpse should give you a good idea as to how the visuals are progressing. We are still working through final revisions of the audio tracks. We hope to have more revealed soon! So we can now officially announce that the recording of our self produced, limited edition ep “Farther Down The Path” is complete! The CD production and final version of the art work are in process. We hope to have it in hand before first shows at Philadelphia Renaissance Faire May 13. It contains 7 songs. 4 new original pieces, 2 historic pieces given our tribal folk rock treatment, and a new rendition of A Moonlit Path. It is immediate, capturing a snapshot of where we are now, and where we have journeyed from in the three years since our last release. It was entirely recorded and produced by us. It is limited to 200 pressed copies. Initially it will only be available at our shows through out this year with a few exceptions to be detailed later. We’ve released a little video teaser to give you an idea of what to expect. And will release a few more clips in the coming weeks. On the first day that truly feels like spring here in the Philadelphia region, we have some significant recording progress to report! Despite the crowded schedule of her spring singing events Sierra Fox spent a chunk of the last 72 hours working on tracking vocals and drums. Approximately 90% of the tracking of our limited edition EP is completed! There are a few more tracks and retakes left to do. Then Cat will begin the process of final mixing and mastering. We will hopefully announce a production date very soon. 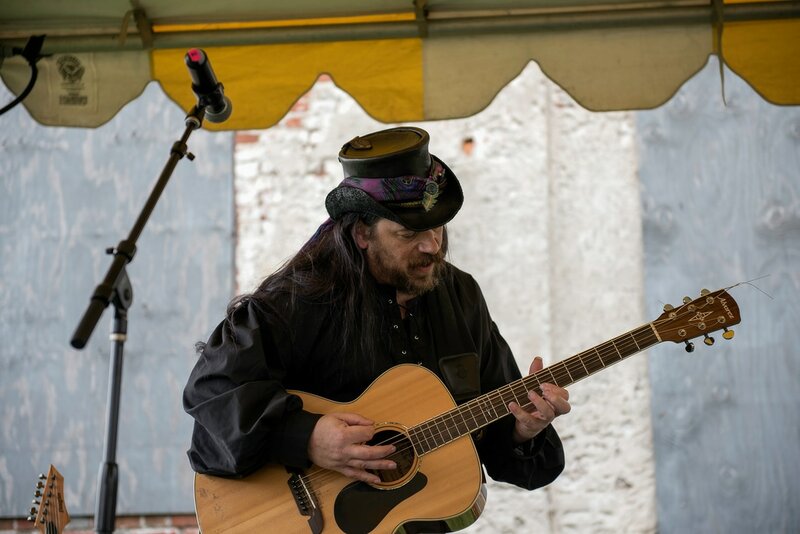 Some know our guitarist, recording and live tech man Cat has been recovering from spinal (neck) surgery. Just a few weeks of healing later we got together today to work on finishing the guitar tracks for the upcoming Ashagal ep. We are working hard to get the ep finished for you all! 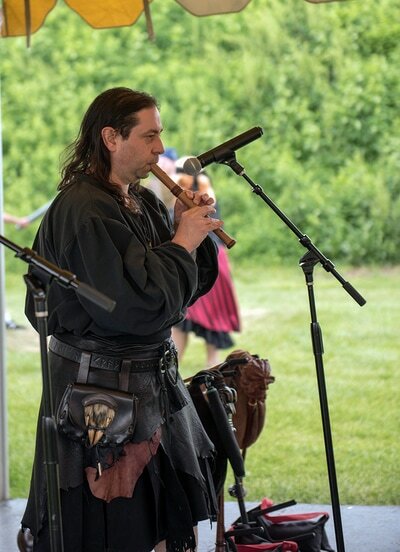 More updates to come and don't forget our season's first shows at Philadelphia Renaissance Faire in just over a month! Today saw the loud bagpipe tracks added to the recordings. It was a smooth, satisfying process. Quite the contrast of many recording sessions. We have a video showing a very preliminary peek at our new version of A Moonlit Path that will be part of our limited edition, self produced ep. The drones add a huge depth and darkness to this track in particular. We are reluctant to reveal an entire track list or timeline for release just yet. But all is moving on schedule as of now. And we hope it is the will of the Universe that the momentum maintains. In addition we have a number of new live dates added over on the Shows section of the site. Here is where you will find the newest band updates. We will mention both band and personal activities. For live dates check out the Shows section.